When tens of thousands of currently dead Nazi soldiers are inevitably re-animated by some combination of secret SS tech and the ancient mystic arts—following Hellboy rules—video gamers will be well prepared. But what about our local law enforcement? 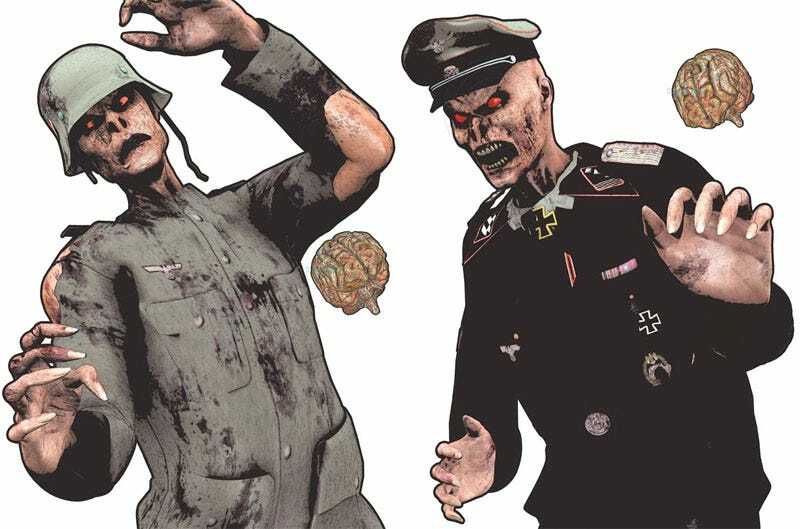 Thanks to the folks at Zombie Ammo, gun range enthusiasts and policemen can now empty the skulls of the walking dead wearing Nazi uniforms, as we've been doing in Call of Duty: World At War for close to a year now. Zombie Ammo and their distributor Law Enforcement Targets have been selling the "Hans" and "Frans" zombie target to the Nazi-killing crowd for a few months now, but we just learned of their existence. Call of Duty Map Pack: Screw Multiplayer, Bring On The Zombies! The good news? They're available, cheap and sure to get you some attention at the firing range. If you'd prefer to keep your range Nazi soldier free, there are plenty of other undead options for the gun owner in you.